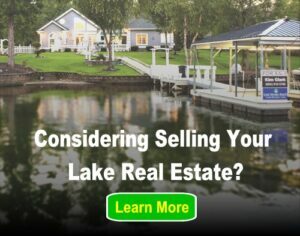 Recreational boating for family fun, fishing and relaxing is popular among lake home owners. Will you stick to recreational boating at the lake or also on rivers and the ocean? Will you be using your boat for hunting, fishing, skiing, cruising or racing? The recreational activities you prefer should impact your decision on the type of boat you purchase. Research your options prior to purchase and check out average prices of your preferred style. Do you want a hardtop, canvas top or no top at all? Do you want an inboard engine or an outboard one? Would you like an aluminum hull or fiberglass hull? Once you actually find the boat you are interested in and know reasonable prices, you should reach out to the seller or the dealer. 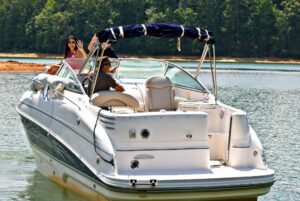 Ask questions about the boats and show interest but do not admit you are ready to purchase a boat. Make sure to write your questions down before calling them so you can write down each answer you receive. The year and the make of the engine and boat hull. How many owners the boat has had. If the boat has been in fresh or salt water, and the last time it was used. If the person seems very persistent in selling the boat or in a hurry it is possible the boat may have some issues. Request an appointment to take a test drive prior to purchase. You will always want to see the boat and drive it prior to purchasing the boat. Most boat sellers will meet you at the water so you can take a test run. If they do not have time for you or you do not feel comfortable buying the boat without a test run, walk away. When you test drive the boat make sure check that there are no cracks in the hull. Look for any parts that look new, as well as signs of neglect. Do not be afraid to ask questions about oddities you notice. It is always better to get more detail and a full observation than to purchase a recreational boat that does not fit your needs or run properly. Also be sure to brush up on your boating jargon before you buy too! I do think it is important to think about how you would use the boat – for parties, fishing, relaxing, water sports, etc. From there you can pinpoint the types of boats that would best suit what you want. Ask family and friends that have boats for advice, look at reviews and ratings, compare prices, and read all about the different models. If you narrow it down there to what you are interested in, you can search to see if there are any used boats that are for sale. Great tips, thanks for sharing! I like how you say that you want to test drive a boat before you buy it. It would make sense to get a feel for it and make sure things work well. I’m looking for a boat to buy, so I’ll have to remember to test it before I buy it. I think that you make a good point that you should figure out what type of engine you want. My family and I like to go boating out in the lakes near us, and we think it’s time we get an actual boat for ourselves. I’ve been looking at an old fixer-upper, and I think we’ll get that. We’ll just need to find an inboard motor to install into it.